The Homiletical Plot by Eugene Lowry is a methodology for preparing inductive sermons or sermons as narrative art form. Eugene L. Lowry, a past president of the Academy of Homiletics, is William K. McElvaney Professor of Preaching at Saint Paul School of Theology in Kansas City, Missouri. 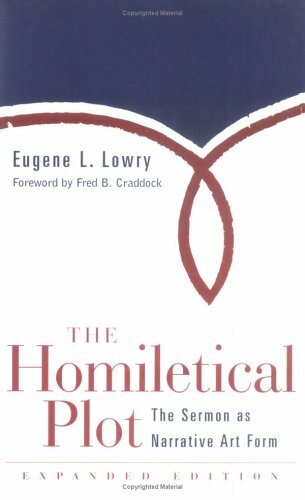 Eugene Lowry has written several book on homiletics - How To Preach A Parable, Doing Time In The Pulpit and The Sermon. The Homiletical Plot by Eugene Lowry presents an inductive method of sermon outlining. The Homiletical Plot is often referred to as Lowry's Loop. There are several ways to structure a sermon outline - deductively, inductively or a bit of both. In fact, there are several ways to structure an inductive sermon. Lowry's Loop is one way to organize your sermon inductively. Lowry's Loop or The Homiletical Plot seems to work well for preaching narratives from the Scriptures. There are five stages to Lowry's Loop. 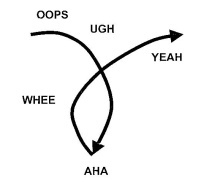 The climax of the homiletical plot is the AHA and WHEE stages. If you like preaching the narratives of Scripture, then reading The Homiletical Plot by Eugene Lowry is an absolute must. How Does The Homiletical Plot Work? Let me illustrate Lowry's Loop from the story of Mary and Martha in Luke 10:38-42. The main preaching point could be - Getting our priorities right brings God's blessings. With that in mind, you could outline the inductive sermon accordingly. The homiletical plot simply unfolds like a story or a movie.